Combine work with pleasure. 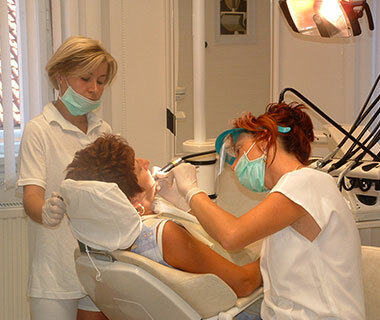 Relax in Zalakaros, at one of the most famous spa in Transdanubia while we are solving your dental problems. We are looking forward to entertaining you, you who would like to relax and recover, with well-equipped accomodation and high quality dental services. We opened our House Apartments in 1998 on the basis of spa and dental tourism – which is situated only a 3 minutes walk from Zalakaros Spa- where our Dental Office is and we also offer medical massage. Our returning patients prove that we decided right. They like our well-equipped apartments and studio flats with AC. The ground floor apartment has got wheel chair access. The apartment downstairs is available for handicapped guests. Car parking is available in the closed yard. 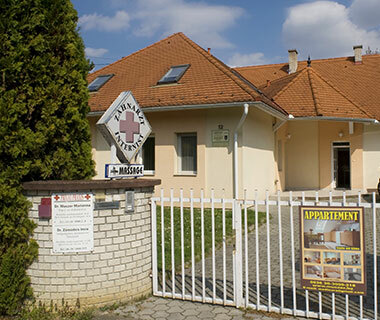 In Zalakaros near the spa and also in Nagykanizsa in the town centre we give our patients prothesis and dental treatments in our well-equipped offices, in stress free environment, using high standard technology and the most modern material; our laboratory has ISO qualification.